Students enrolled in the Undergraduate School of Business at Belmont University embark on a journey that is both challenging and rewarding as each student is encouraged to utilize his or her unique set of interests and skills to make a positive difference in the world. Having achieved AACSB International accreditation for both business and accounting, our programs have met the requirements for a wide range of quality standards. 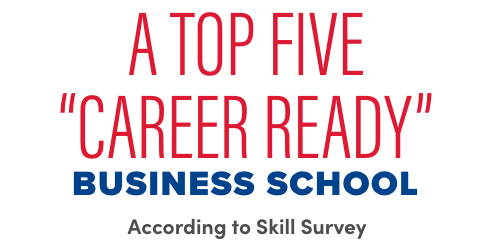 In addition, we have received national recognition for our innovative programs, placing Belmont among the best in business. The word of business is a dynamic one that offers exciting opportunities in every industry, whether it be healthcare, banking, publishing, automotive, professional sports, nonprofits, government, technology…the list goes on and on. Belmont’s strong relationship in the business community provides a valuable network for internship and future career opportunities, allowing our students to begin a successful career and truly go From Here to Anywhere. It is the difference between hearing and doing. Our focus on experiential learning provides a solid foundation for what is to come in the professional world. Undergraduate students are encouraged to get involved with our Student-Run Ventures, Business Hatcheries, Financial Information Center, internships and student organizations to apply learning and gain experience outside of the classroom. It is the difference between a job and a career. Exposure to various business disciplines helps out students determine what they are most passionate about, while strong relationships within the business community provide a valuable network. 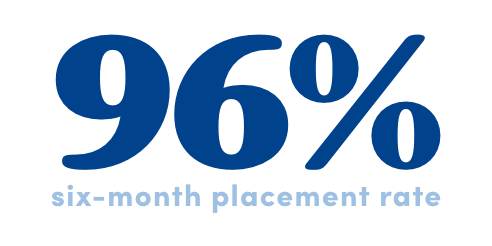 The six-month placement rate for The Jack C. Massey College of Business consistently exceeds 94 percent, and our alumni have continued access to the Career Development Center for future assistance. It is the difference between here and anywhere. Belmont’s beautiful campus is located in the heart of Nashville, a thriving city full of opportunities. Our students participate in internships within healthcare enterprises, accounting firms, financial institutions, nonprofit organizations, technology companies, professional sports teams, hotels and restaurants. Whether in a traditional corporate setting, entrepreneurial venture or nonprofit, our graduate are making a difference.